I followed the competition to provide India’s air force with a new fighter aircraft like a soap opera. I loved it. Six fighters competed for a multi-billion dollar deal. The capabilities of the six entrants had been discussed for years, but the debates were little more than innuendo, sales-spin and national pride. 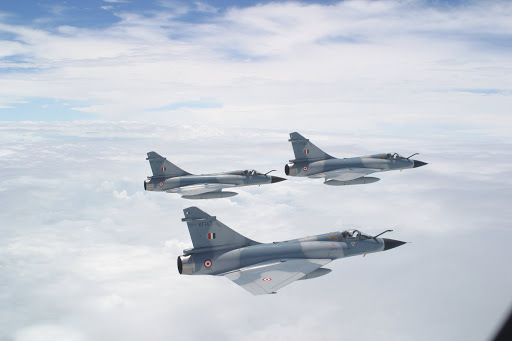 Six of the world’s best fighters were evaluated in detail to determine which would become India’s MMRCA (Medium Multi-Role Combat Aircraft). Never before had the types been examined against each other with such scrutiny, the results would be very revealing. The USA offered two types: the Boeing F/A-18 Super Hornet, pride of the US Navy, and the largest and heaviest of the contenders. The other type the US offered was the Lockheed Martin F-16. The F-16 had already been sold to Pakistan, the traditional enemy of India, which led many to belief it was a lame duck from the get-go. 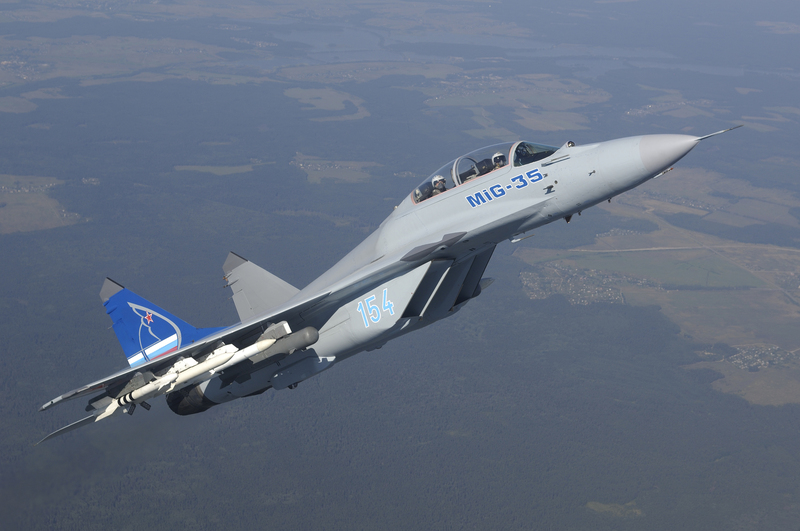 The Russians offered the MiG-35, a souped-up variant of their MiG-29 (a type losing favour around the world). The MiG-29 was already in service with the Indian air force, a foot-in-the-door which gave the Russians hope. 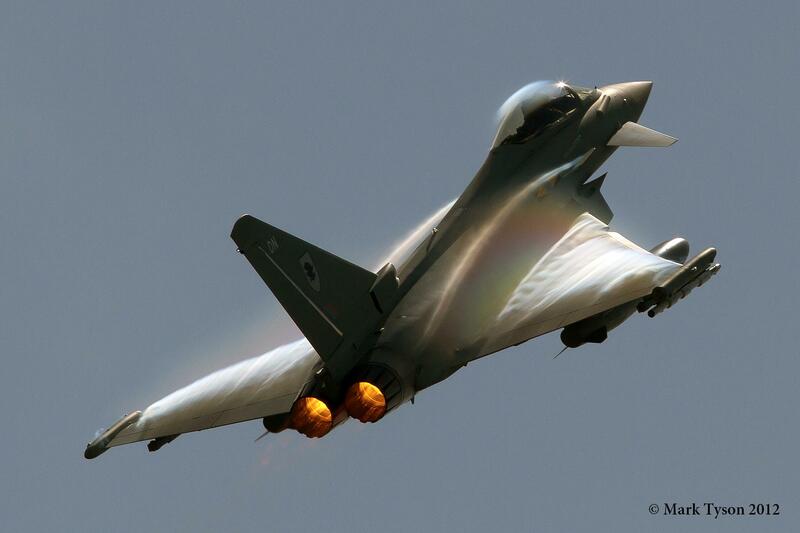 A European consortium of the UK, Germany, Italy and Spain offered the spectacularly expensive Typhoon. Their drive to sell Typhoon in India was led by Germany. France offered the Rafale, long the fighter world’s underdog, having failed to achieve a single export sale. 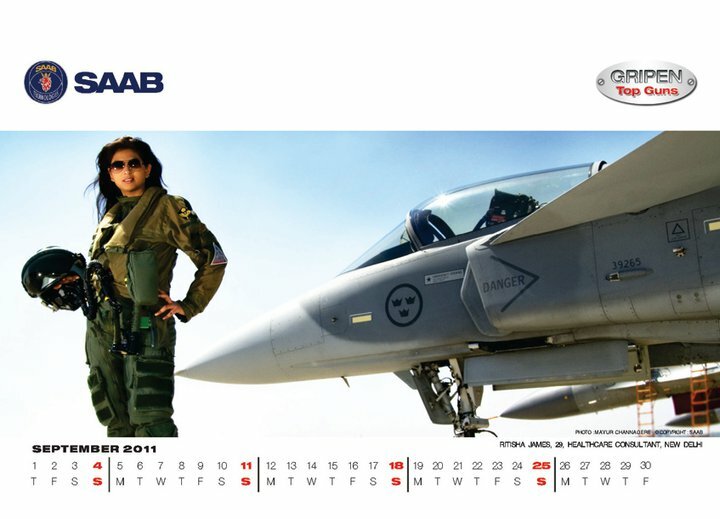 Even idiosyncratic Sweden joined in, offering its petite Saab Gripen. This contest was big. India wanted at least 126 fighters, with more orders likely. The fighters will stay in service for at least forty years, needing support and spares. Success in India was the golden ticket for the fighter ‘houses’, making other sales around the world almost inevitable. India could mean life or death to MiG, but the Russian company was confident that over 40 years of selling aircraft to the IAF would put it in a strong position. Another company that needed India was Dassault. The French company had it origins in a pre-war company set up my Marcel Bloch. The war brought misery to Marcel. Being of Jewish descent and refusing to collaborate with the German aviation industry, he was sent to the hell of Buchenwald. Meanwhile his brother fought in the French resistance under the nome de guerre Darius Dassault. The surname derived from char d’assaut (the French word for battle tank); d’assaut means ‘for assault’. Marcel also took the surname. Following the war, he took back control of his old aircraft company and it was renamed Dassault. The company went onto to develop the Mirage series of fighters, among the most beautiful and capable jet fighters in history. The Mirage family is inextricably linked to the story of Israel. In 1967, a French embargo on military exports to the Jewish state led to a bizarre and very exciting Mossad mission to steal the plans for the French jet (which succeeded). The Mirage 2000 was the final fighter to carry the famous name, and was bought by India. The type has proved popular with the IAF (what type hasn’t?) and was deemed highly effective in the 1999 Kargil War with Pakistan. The Mirage series sold well around the world, but Dassault made two decisions that risked ending its fighter line. In the early 1980s it grouped together with other European nations to develop a new advanced tactical fighter. The advantages of collaboration where obvious: it would ensure a large production run, the development costs would be shared and when one government wobbled on the project, another would badger them to persist with it. However, Dassault-Breguet (as it was then known) could not resolve key differences with the other nations and went its on way in 1985. France went off to develop what was later named Rafale (‘sea squall’). The Mirage name, which had been applied to several generations of very different aircraft was dropped. Britain, Italy and West Germany went off to develop what would become the Eurofighter Typhoon. Spain couldn’t quite make its mind up, and flirted with France, before returning to the bigger party. France had pitted itself against its neighbours. 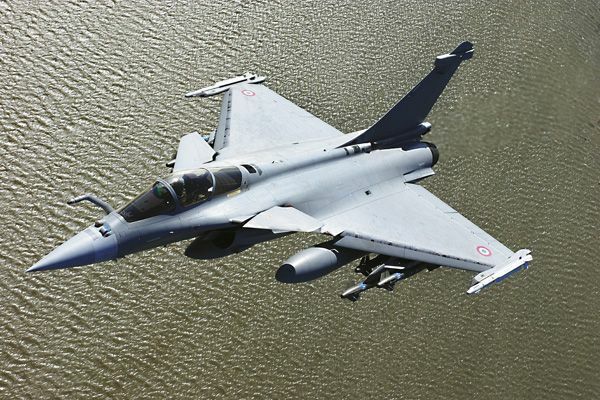 France would have to pay for Rafale by itself, spending billions of Francs and Euros on developing a fighter which was in many, many ways similar to Typhoon. Like all the best things, the Mirage 2000 was born in 1978. It was beautiful; a dynamic triangle that looked it had escaped from a 1950s corporate logo. It is the shape of speed and harmony. The dynamism of 50’s futurism was combined with the miracles of the electronic age. It could even fly very slow with its nose raised high, something delta (tri-angular) winged aircraft shouldn’t be able to do. “ The Mirage 2000 is the perfect aeroplane.” was a surprising quote I got from a Rafale test pilot I spoke to in 2005. He said Rafale was great, very capable, but the older Mirage 2000 was perfect. The type is known by some in French air force as the Electric Cake Slice. The 2000 was an export hit. India, the UAE, Peru, Greece, Taiwan, Egypt and Brazil all bought it. Pilots loved it. The Mirage 2000 could face up to the US F-16, the most popular modern fighter. The F-16 is slightly older than the 2000, but in 2012 remains in production. In 2007 Dassault ceased 2000 production to concentrate on the Rafale. This was a risky move indeed. The Mirage 2000 was still highly capable. Recession scorched nations bent over backwards to chase the rupee. 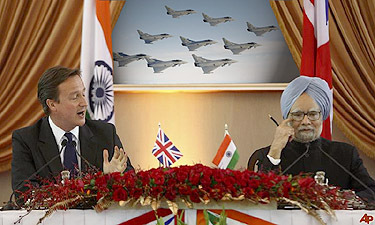 Indian filmstars were given fighter flights, heads of state flew out to India, Cameron from the UK, Sakozy from France, Obama from the US… promises of industrial collaborations , commercial offsets and ‘strategic partnerships’.. all heads were turned to see what India would do..
Internet forums exploded with patriotic fervour and Top Trumps speculation. Which fighter was most agile, had the greatest instantaneous turn-rate, longest radar range…would India’s traditional use of French and Russian-supplied kit continue? Rumours and counter-rumours flowed daily, and it was a nail-biting drama, with unexpected twists and turns and press statements along the way. Strangely all of the aircraft types (barring the MiG-35) competing for the contract took part in the 2010 air campaign against Libya. Even neutral Sweden sent Gripens to Libya. This led some cynical observers to wonder whether the ‘noble defence’ of the Libyan people may have had a commercial angle. Like the X-factor it was eventually whittled down to the two finalists: The Eurofighter Typhoon and Dassault Rafale. The United States had lost, days later the US ambassador for India announced his retirement. Russia and Sweden were out too. Typhoon versus Rafale was the most dramatic final possible. The fighter business held its breath as the painfully slow Indian procurement process weighed the arch-rivals. Both had passed the gruelling assessments, now which ever could come up with a lower bid had the deal. On 31 January 2012 it was announced that France had won. Within minutes of the announcement the Eurofighter website, which had been plastered with adverts for Typhoon in India, switched to a bland India-less image. The British government threw a hissy-fit and France celebrated. The millions spent on marketing the losing aircraft were lost. Now the reason I recount this is to go back to the idea of double-think and the enjoyment of military aircraft. I enjoyed the MMRCA contest as a fiction, as sport. How the healthy this is, I can’t say. I was biased, I wanted Typhoon to win. But, a couple of months ago I was reading the child mortality figures for India in The Times and did wonder how much India really needs a vast force of cutting edge fighter planes? I wondered how I could hold two Indias so separately in my mind. Update: the MMRCA was eventually cancelled, following the failure of the Indian MoD and Dassault to agree on the terms and costs of the deal. Eventually 36 Rafales were ordered.